One of the good things about forcing myself to do all the recipes in Home Cooking Made Easy is that I have to try new things. 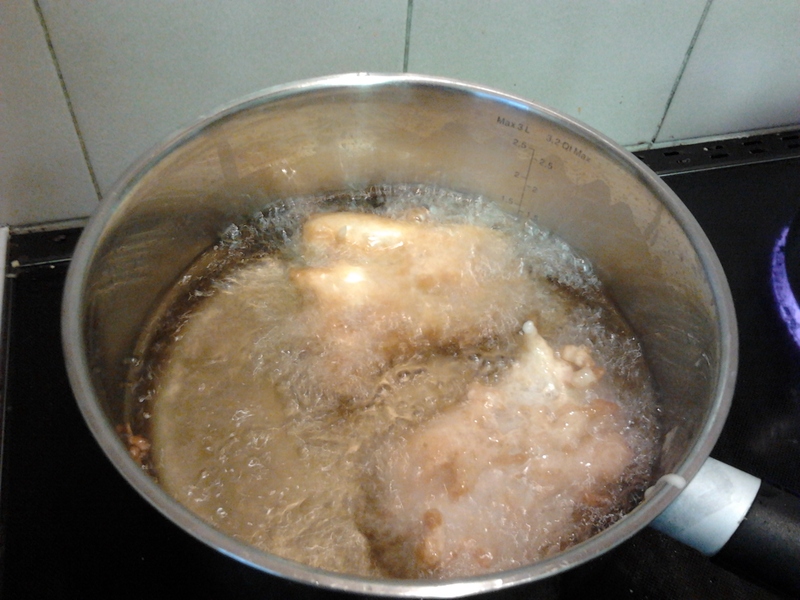 I wasn’t particularly keen to try deep frying, but there are a few deep fried recipes in the book, so I’m starting with fish and chips. It’s a pretty quick recipe. You make the batter and let it rest for an hour and do the chips meanwhile. It’s just self-raising flour, cornflour, yeast and lager. I made my chips too skinny, so they burnt a bit. 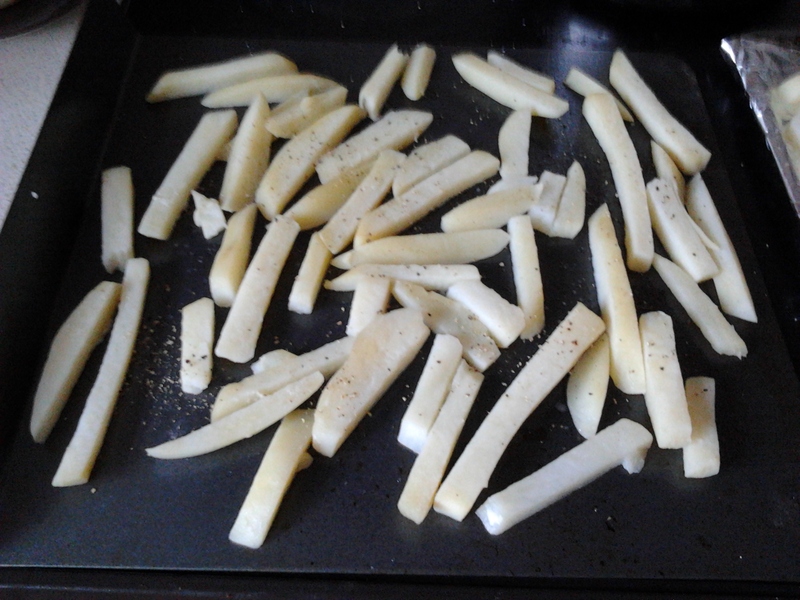 Next time I think I’d probably just do frozen oven chips, as they’re easier and tastier! When you’re ready for the fish you heat the oil until a small cube of bread dropped in browns in about 50 seconds. 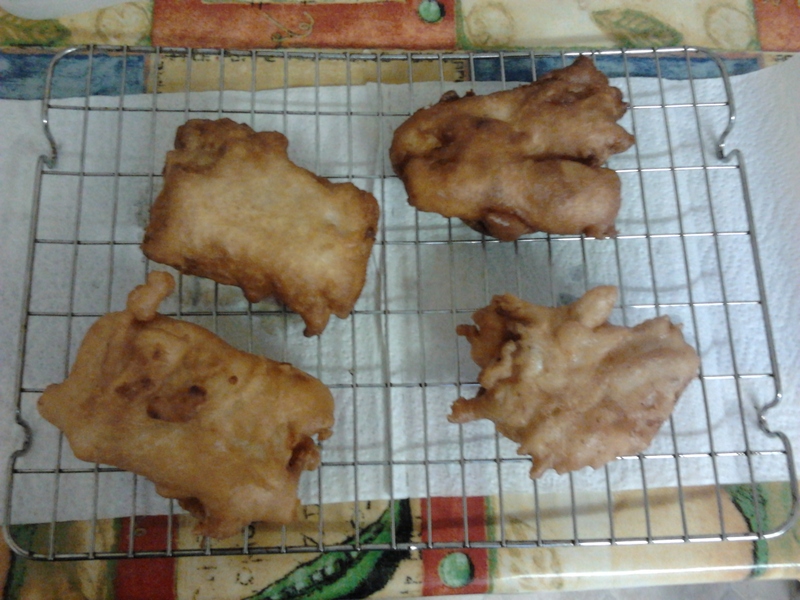 You dip the fish (I used cod) in flour and then in the batter and drop (very carefully!) into the oil. The fish takes about 6 minutes to cook, then remove it to drain on a wire rack above some kitchen paper. Serve with ketchup, lemon, vinegar, peas etc. Now you have a pan full of oil, what do you do with it? It’s bad form to pour down the sink, and it won’t solidify enough to put in the bin. You can reuse it a few times (might want to filter it first), or you can run your diesel car on it (I know I’m always full of eco friendly tips). Don’t blame me if your car smells of doughnuts and other fried goods. 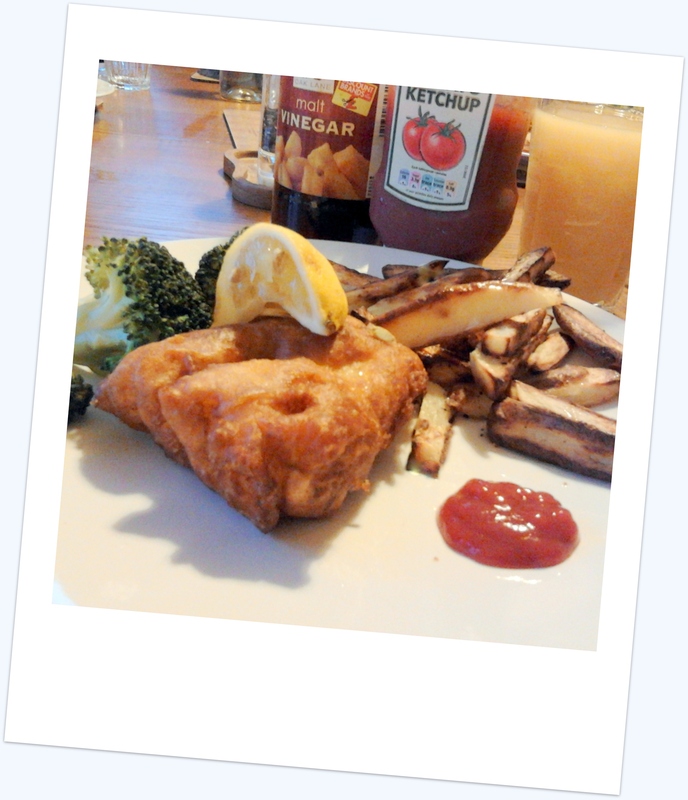 I might use this recipe again for the fish, but it’s been useful in teaching me that deep frying isn’t that scary! This sounds lovely. What the quantities for the batter? What are the quantities for the batter? 260g self-raising flour, 4 tbsp cornflour, 1/4 tsp fast action dried yeast, salt and pepper, 350ml lager. Hope you enjoy it!